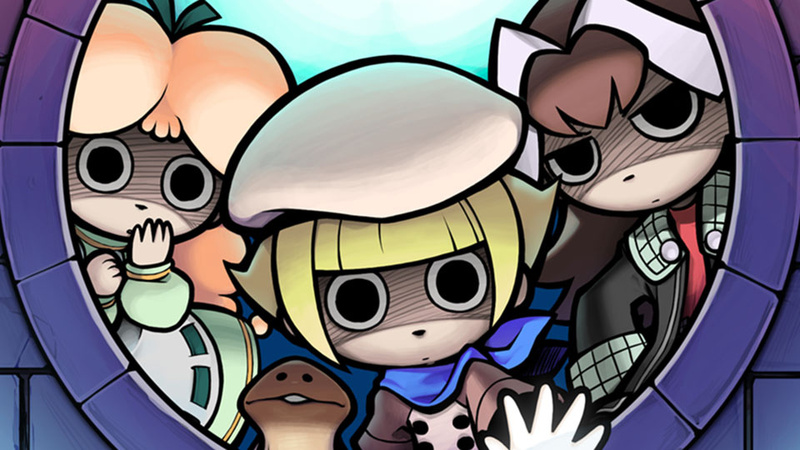 The Touch Detective series, featuring wide-eyed sleuth about town Mackenzie and her sentient mushroom companion Funghi, looks set to receive another installment. Touch Detective Rising 3: Does Funghi Dream of Bananas? has been announced following a teaser site setup by Japanese publisher Success Corporation, which pointed towards the 30th May issue of Famitsu for more details. Beeworks will be handling development. Touch Detective is a mystery adventure series entirely controlled through a touch screen. 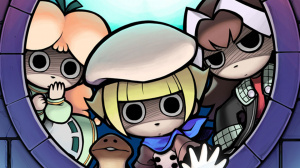 The original game and its sequel, Touch Detective 2 ½, both found release overseas on the DS, gathering some fans with their unique art style and quirky humour, but didn't take off as well as in Japan, where Funghi is an adored mascot and has his own puzzle game spin-off. Before you judge, just remember we find a bunch of teens and a freakish talking dog in a roaming hippy van to be a perfectly acceptable team for solving mysteries. There is no word yet on whether Touch Detective 3 will see release outside Japan, or indeed if it'll be on 3DS - smartphones are another possibility. Would you like to see Mackenzie and Co. return to the case? Let us know below. I own both games for the DS. I love the graphic style and humor. Bring this to the US for the 3DS please. It's such a great game I'd love this to be localized. NO FREAKING WAY WHAT. They're finally making another after 6 years!? I never thought this day would come! I... I think I need to sit down. One of my favourite series' for DS. Stoked! Only played the first one. It's good, but not without its flaws. Very good games. I thought they were called Mystery Detective in Europe. I liked the artwork and the humor. A e-shop release may eventually come. However, I thought they lacked any challenging elements/features. Oh man I loved Touch Detective! Such a weird game. Awesome news. Glad to see a new one! Wait. What?? OMG I love the Touch Detective games! I snagged both off Amazon (new) in 2011. $55 well spent. SO GOOD! I would love to have Touch Detective released to the U.S. I bought both of the games. I love this game. Why isn't it called 33 1/3?